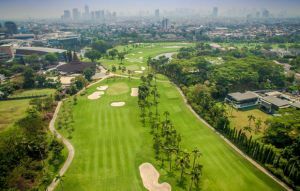 The Pantai Indah Kapuk, known locally as “The Spirit of the Sea”, was Robert Trent Jones JR´s second project in Indonesia. 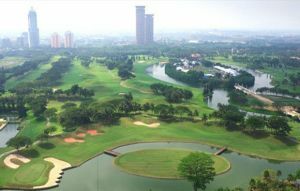 He wanted to create a golf course that mimicked the sea, quoting “the sea is often graceful and beautiful, but suddenly the sea can turn difficult” and it can be seen in the design as golfers are tested and then rewarded throughout the course. Jones Jr, in his design has created a serene environment that has utilized the natural landscape and the coastal marshlands to their fullest. He has created a golf course that is a joy to play even when playing badly. The third is a fantastic test of target golf with a small green, surrounded and protected by large bunkers will challenge golfers of all levels. The next par 3 is even more stunning with water protecting the green to the right and the rear. The finishing hole a long par 4, will keep the golfer thining right to the last. 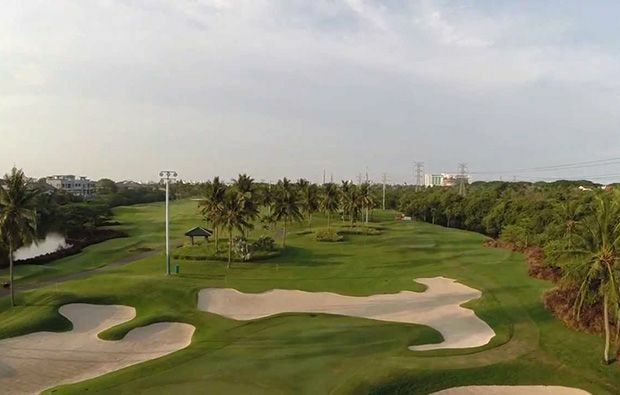 The tee shot must be positioned to avoid the water that surrounds the hole on all sides, and the fairway bunkers to leave a shot for the green which is again protected by bunkers and the water hazard. 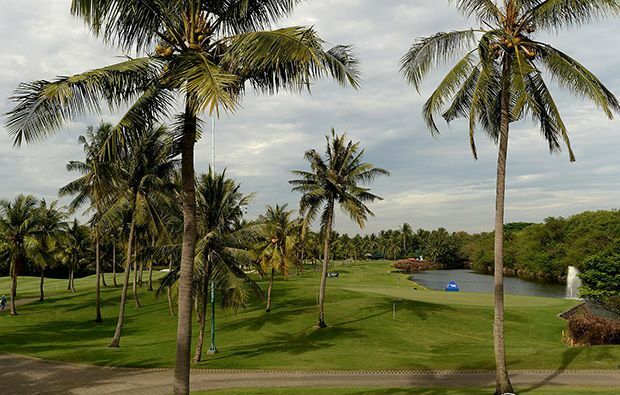 It is a visually stunning finishing hole. 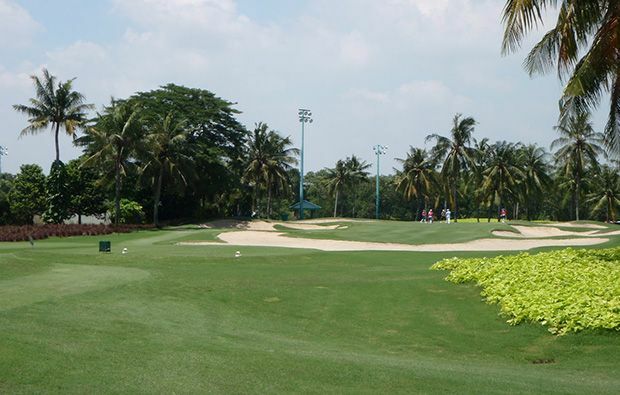 The Damai Indah Course, designed by Nicklaus is no less of a challenge. 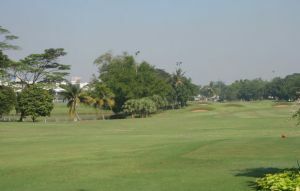 Hole 6 offers the golfer the opportunity to reach the par 4 from the tee. A large bunker runs the length of the hole on the left and three further bunkers split the fairway, whilst the green is protected by yet more bunkers. Perhaps the safe play is an iron from the tee to leave a short pitch into this relatively flat green. 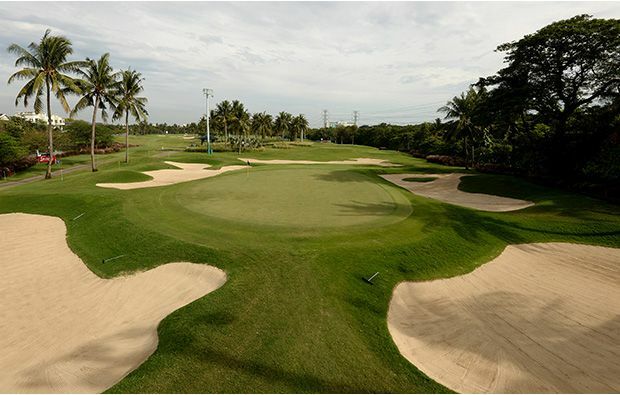 A feature of this course, and a trait of Nicklaus´s is to strategically position bunkers to continually test the golfer and Damai Indah is no different. This is no more apparent than the par 5, 13th hole,. From the tee the golfer should favour the right side of the fairway to leave a good view of the pending lay up between the group of fairway bunkers in the left and the bunkers that split the fairway further up. A real three shot par 5 for most, with strategy at the heart of playing the hole well. The 18th is another great finishing hole, and is reachable in two. A well-positioned tee shot avoiding the bunkers on the left will leave a great angle over the elbow of the lake to the green. Miss left and you are wet, to the right bunkers await any shot that is over cautious. These two courses must be played. 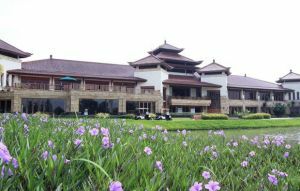 Damai Indah Golf Country Club PIK Course has different Services to offer. Choose a date and number or players to see the rates.